At Camo Dreams, Inc. we are dedicated to providing once in a lifetime outdoor opportunities to deserving children with disabilities or terminal illnesses. We provide outdoor opportunities for children on some of the best private lands found anywhere in the United States. Food, lodging, and on-site transportation are provided. (IF dreams do come true, taxidermy is also included). 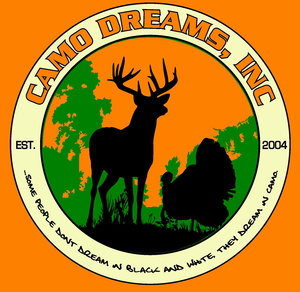 Customized ground blinds and hydraulic stands are wheelchair accessible.